In 1604, King James brought together 54 scholars to translate the holy book, a project completed in 1611. 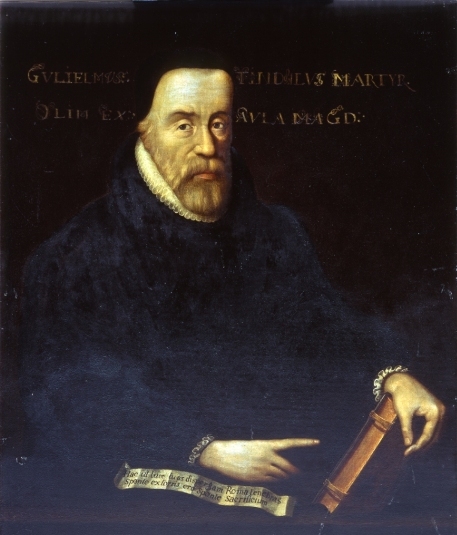 In order to facilitate the popularisation of this new version, the language and style of the translation had to be made accessible to all – an ambition echoing Tyndale’s. Through their research and work, the King’s translation teams incorporated phrases the unlucky translator had already fashioned in the English tongue, such as “the powers that be”, “suffer fools gladly”, “a stumbling block”, and “the signs of the times”, and added their own: “from time to time”, “the root of the matter”, “know for a certainty”, “no small stir”… The list goes on. Four hundred years on, these translations still have an impact on how we speak today. Many expressions and clichés in our everyday vocabulary were originally coined by anonymous, long-forgotten, sometimes ill-rewarded, yet dedicated and skilled translators who have left an undeniable legacy. Translators are invisible, yet we are everywhere. We are the ghost-like wordsmiths who decipher unknown languages and influence the way you speak as you read the words and expressions we have created for your understanding and enjoyment.